Welcome, 21 lover to the amazing world of live dealer blackjack. Our goal with this website is to provide the most accurate and impartial information on top-tier live blackjack providers, casinos and tables. Our dozen years of collective playing experience helps us to offer more valuable insight on this subject than you will find at any other site. Make sure to read all information on this page, as this is where we will guide you through the various sections of our website. If you have any suggestions or questions related to live dealer casinos, feel free to contact us. Something extraordinary – be it unique sidebets, the ability to play all seven hands as one player or simply an interesting visual style or theme. The tables below are exclusive to their parent casino or casino groups and are only offered to players there. This technology is mostly provided by Evolution Gaming, who have made put tremendous effort into creating outstanding custom branded tables for major live casino brands such as Leo Vegas, Casumo and William Hill. You are much more likely to have an open seat available, instead of being forced to bet behind at tables that are shared across the whole network of that provider. Branded tables often have lower table minimum bets. It’s likely that the casino pays the developer a monthly minimum fee for their service and thus are able to decide on their own limits. Casinos that offer their own tables are very likely to invest quite heavily in live blackjack promotions. These offers are almost always both more valuable and mechanically interesting than bonuses offered by casino sites that focus on slots players. Players from countries where blackjack is more popular might also find an enjoyable feature when playing live blackjack online – that is, native speaking dealers in your language. These are provided by a few developers with Evolution Gaming, BetConstruct and Ezugi leading the way. *Terms & conditions apply to all bonus offers. Please make sure you read them carefully before depositing. Wagering requirements and game weighting applies to all. Live dealer providers are the ones that are largely responsible for what your playing experience will be like. It’s quite exciting to see them improve at such rapid pace, since live dealer online casinos are a relatively new concept that only started gaining popularity after 2008. Below we’ll provide some thoughts on companies that offer live blackjack. Evolution Gaming – the current live dealer casino industry leader – and that applies to blackjack too. EVO provide an outstanding stream quality on all devices from the latest iPhone to a budget Android tablet. They also have presentation and table variety like no other company. To our knowledge they currently have studios located across the world including Latvia, Malta, Georgia and Canada. Evolution are also known to collaborate with big operators to create branded studios with completely customised environments and game mechanics – just like they recently did with Casumo. 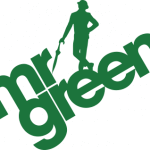 It’s also worth pointing out that their blackjack is available with live dealers speaking English, Swedish (Unibet), Russian (Marathonbet), German (Mr.Green), Danish (Leo Vegas) and Italian (Leo Vegas). Their house rules are fair and in line with industry standards. When played with basic strategy, Evolution Gaming live blackjack has an RTP of 99.28% (according to them). You can also place side-bets, of perfect Pairs and 21+3, on almost any EVO table. PlayTech – quality and reach wise PlayTech is one of the only real competitors to Evolution Gaming. Their product is top quality across all devices too, but they don’t have as many tables as EVO. However, the majority of the time you will only find PlayTech live casino games at sites that use their full integrated platform – such as BGO, William Hill and Paddy Power. So, this makes it rare to see a small or medium sized online casino that has PlayTech live dealer games on offer. PlayTech recently built a major studio in Riga, Latvia, in order keep up with demand and offer more variety when it comes to tables. When we tested what they had to offer at BGO Live Casino, they had 22 open tables for blackjack. That’s pretty impressive, by anyone’s standards! Lucky Streak – This is a smaller developer based in Latvia offering just a handful of live blackjack tables and not currently operating in the UK. We still thoroughly enjoyed their live blackjack, which offers a user-friendly environment and an easy to navigate casino platform. Their live dealers are also well trained, speak fluent English and are professional and courteous at all times. Lucky Streak does not claim to have multi-lingual tables, but their dealers do often speak English, Russian, Latvian and sometimes Spanish. The option to bet behind is also available and so are Perfect Pairs & 21+3 side bets. You can also tip the dealers. Pragmatic Play (rebranded from Extreme Live Gaming after it was acquired) is a small-scale operation with just a couple of live blackjack tables available. They offer a few different playing environments – namely regular, VIP and Italian speaking dealer tables. They offer both bet behind and the standard side bets (Perfect Pairs & 21+3), but the surrender option is not offered at any of their tables. The streaming quality is consistent, but definitely a tier lower than Evolution and PlayTech. You might not be able to play Pragmatic Play tables at many top tier live casinos, but you will find them at Leo Vegas. BetConstruct is a major player in the gaming platform and sports betting space, but they are also a live casino developer too. We were pleasantly surprised at the quality and variety of their live blackjack tables. We found 13 tables on offer with dealers speaking English, Turkish, Persian, Russian, Armenian and Arabic. This is a lot of languages, suitable for live blackjack fans all over the world, and includes some you won’t find anywhere else. More so, the tables look great and streaming quality is excellent. BetConstruct’s live blackjack is also the only one we have seen offering their unique Honey Bonus and Lucky Sevens side-bets. Their live studio is located in Yerevan, Armenia. Ezugi may have made headlines as the first provider to supply live dealer games to a regulated US online gambling market in New Jersey, but they have a long history of operating in different markets before that. They run a pretty sophisticated live dealer platform with studios in multiple locations – Latvia, Romania and Costa Rica. This lets them tailor their service to players from different locations , while also offering some tables in languages other than English. Turkish and Spanish speaking customers can play at separate blackjack tables from Ezugi, while most of their Latvian dealers also speak Russian. Blackjack variety wise, you’ll find regular tables where 21+3 and Perfect Pairs side bets are offered as well as an Unlimited Blackjack table, where a seat will always be available. 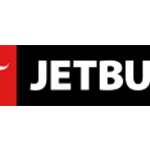 time when we tested their games at Jetbull Casino, there were 12 live blackjack tables open. However, you can expect this to increase at peak hours. Portomaso Gaming – the Portomaso brand is associated with multiple land-based casinos in Malta, which is actually where most of their games are streamed from. To our knowledge they are the only provider that actually stream live blackjack from a land-based casino. In this case, streamed from the Oracle Casino in St Paul’s Bay. We enjoyed using the user interface of their platform, especially on desktop. However, the fact that they are one of the few (so far, the only one that comes to mind) live blackjack developers that let you split multiple times – up to four hands in this case. Generally, at most live online blackjack tables you can split only once. So you can see why this is a neat feature, although the table can get a little messy if multiple players take advantage of this rule – especially on mobile. Portomaso currently offer 3 tables to choose from and all of these come with Perfect Pairs & 21+3 side bets. You can place these after sitting down at the table. NetEnt – This developer is mainly known for their success in the online slots industry, but they are also a very solid live casino provider. Their blackjack includes tables come in VIP Highroller, Common Draw (Unlimited) and regular varieties. It’s worth pointing out that NetEnt’s live blackjack is dealt out of a shoe consisting 6 decks of cards, whereas most of the competition use 8 decks. This could be quite favourable if you’d like to try your hand at card counting. NetEnt’s stream quality is consistently equal to that of top-tier providers like PlayTech and Evolution Gaming. Vivo Gaming are mainly focused on Spanish speaking markets, but their tables are also offered in English. The stream quality is acceptable, but definitely not yet comparable to top-tier providers. We’d speculate that Vivo Gaming has most of their customers coming from markets like Spain, where they are one of the few providers offering live dealer games. 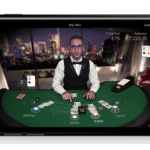 Apart from the quality and mediocre UI, Vivo Gaming’s blackjack features eight decks and seven players. You can double down on any two cards and split up to two hands. VIG – Visionary iGaming seem to be focused towards customers in the USA, as well as some European markets such as Spain, France and Italy. Their studios are located in San Jose, Costa Rica, thus making all dealers fluent in English and Spanish. We found four tables operational that had a decent, albeit not great, stream quality. Your experience may be disrupted by overly loud background noise and occasionally unclear card information, especially on a smaller mobile screen. Overall VIG’s offering is comparable to Vivo Gaming in terms of stream and UI quality. The big difference in terms of drawing rules here, is that the dealer hits soft 17 and you can surrender at any time – as long as dealer does not have blackjack. This gives it a slightly superior RTP to many other live blackjack games. VIG Blackjack is playable at Bovada Casino (for US customers) and MYB Casino (worldwide). Absolutely, and there are many live blackjack apps to use on your mobile. Our personal favourite is the Leo Vegas app, where you can actually see if a table has any seats available before you join. Weirdly enough, when using most other apps you cannot see this information. 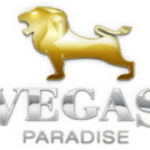 Leo Vegas also have their own private studios with multiple Leo branded blackjack tables and a generous signup bonus. They also organize exclusive promotions for live dealer players on a fairly consistent basis. Are There Casino Bonuses For Live Blackjack? Most bonuses cannot be used at live casino games, but there are sites out there that choose to focus on live dealer players. These live casino sites will regularly offer tailored deals for live blackjack. 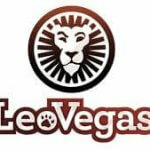 One such casino is Leo Vegas, where players are offered a 100% deposit match up to £/€250. The wagering requirement on this is 70x – but live blackjack counts for 100% of the wagers made on it. We’d like to add that the minimum deposit to claim this offer is £/€20 (or currency equivalent) and it is available for players in the UK, Canada, Germany, Austria, Switzerland, Finland, Sweden, Norway and New Zealand. 100% of your live blackjack bets counting towards your playthrough requirement is actually a very rare offer, and one blackjack fans should definitely consider carefully. If you are concerned about the house edge in blackjack, then no. Side-bets like Perfect Pairs and 21+3 have a house edge of around 4-5% making them much worse than simply making the main bets. However we do get the appeal, as side-bets often offer much higher payouts in terms of the bet multiplier. Can I Play With PayPal? Yes, but only in a few countries. You can use PayPal in the UK, Denmark, Spain, Germany and Sweden – at the moment. New countries are added to this list from time to time, so keep an eye out. The next step is to find a casino that actually accepts both PayPal deposits and players from your country of residence. UK players can deposit with PayPal at William Hill, while other European customers should be able to use 888 Casino and Party Casino. Are There Tables Where Dealers Speak Swedish? Yes. Unibet and Betsson Live Casino both have live blackjack in Swedish. Note that both of these are private tables offered in collaboration with Evolution Gaming. The tables seem to be operational daily from 14:00 GMT. Which Casino Offers The Highest Betting Limits On Live Blackjack? Unibet Live Casino has the highest blackjack limits we have found. You can stake up to £/€50k per box and play up to 3 boxes. The tables for this are Unibet’s private VIP live blackjack from Evolution Gaming. For USA players the top choice is Bovada where you can bet up to $10k per box on their VIG Live Blackjack tables. How To Play Unlimited Blackjack? Unlimited Blackjack is a variation that lets an unlimited number of players play the same hand. We’ve seen this offered by NetEnt, PlayTech and Ezugi. Evolution Gaming also launched their own version in late 2018, known as Infinite Blackjack. The game plays on more of an autopilot mode than your usual blackjack table, as all pairs are automatically split according to basic strategy. However, players can still choose when to hit or stand. We’d recommend familiarizing yourself with the exact rules of the game you are in before playing – which you can do by using the help section of the provided user interface. What Is The Minimum Bet? This entirely depends on the casino site you play at. We track limits on some of the live blackjack tables, and these go as low as £0.20 if you are willing to play on the “bet behind”. 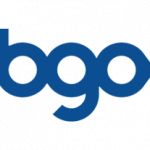 BGO has a low £2 minimum bet on their private table from PlayTech. Other than that, most Evolution Gaming powered casinos let you bet £0.50 on their Blackjack Party tables. Can I Play Online From The USA? Yes, you most definitely can. VIG (Visionary iGaming) offer their live blackjack at a number of casino brands that accept players from the US. The two casinos we can recommend are MYB Casino and Bovada. The latter recently added live dealer games, and they also offer sports betting and online poker. Funding your account is easy and can be done with all major credit/debit cards. 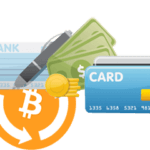 Recently, many US facing online casinos have also started to allow Bitcoin or other cryptocurrency deposits. Withdrawals in the US are mainly done via bank transfer, but the aforementioned Bitcoin is also an option. With Bovada you can also withdraw using a check sent via courier. Does Card Counting in Blackjack Work? It works to an extent that you can do it and likely can reduce the house edge a tiny bit. However, you will not be able to gain an advantage over the house. This is due to the deck penetration, which does not reach the depth needed. For you to successfully take advantage of counting cards, this should be around 70% – all live blackjack providers seem to limit it at 50% (to our knowledge at least). Some people claim this is still beatable as long as you can have a large spread for bet-sizing, but we would not consider ourselves qualified enough at this particular skill to make such a statement. Having that said, counting cards at live blackjack can still be a lot of fun and adds an extra dimension to play. If you are one of those players that like the mathematics side of gambling and don’t play to make a living, counting can still be a decent approach to take. Which Live Blackjack Is The Best? That is a tough question to answer not knowing any additional variables, such as your desired bet size, your location, the device you are intending to use and whether you are interested in placing any side-bets or not. 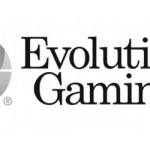 To offer a generalised answer, Evolution Gaming have an offering that is hardly matched by any competitor. The quality of the playing environment they provide is unparalleled. They offer tables in a whole host of different languages including Swedish, German, Russian, Italian, Danish and a handful of others. The mobile playing experience is up to par with the desktop, but some casinos have taken it even further by creating their own lobbies and apps for mobile. A great example of this is Leo Vegas. When it comes to the house rules, Evolution’s blackjack lets you to play up to three hands, split to two hands, double after split and the dealer has to stand on all 17s. This adds up to a house edge percentage of 0.61% when playing basic strategy. Other honourable mentions include the live blackjack product from Lucky Streak (no UK players), PlayTech and Ezugi. For an experience that is as close to visiting a brick & mortar casino as possible, we recommend Portomaso Gaming Live Blackjack. This is streamed from an actual land-based establishment – the Oracle Casino in Malta. One other unique selling point of Portomaso’s product is that you can split up to four times on one hand, which is quite rare in the live dealer scene.